Title retained at the 2016 ITTF-Europe Cup in Antibes, one week later on Sunday 12th February, it was the same situation for Germany’s Dimitrij Ovtcharov at the DHS 2017 Lausanne Open in Switzerland. 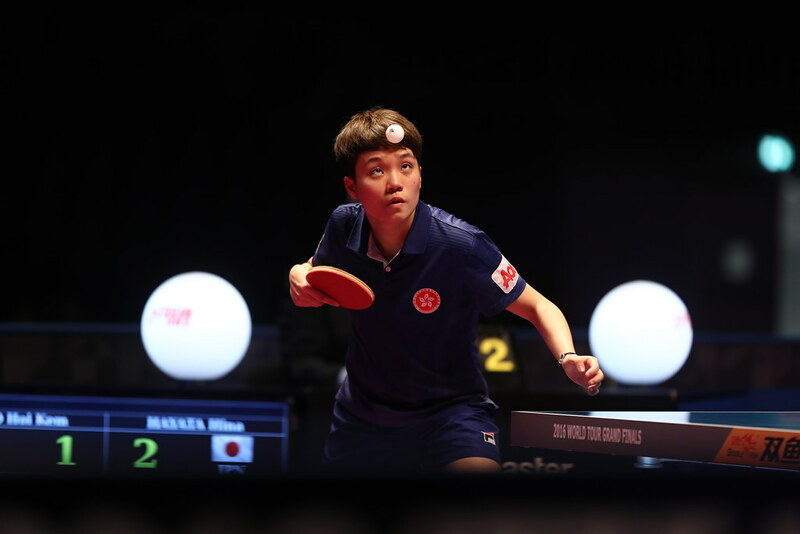 The only difference was that in the Men’s Singles event in Antibes, he was the favourite for gold being the top seed, in the Swiss city he was the second seed, the top seeded spot belonged to Japan’s Jun Mizutani. However, Dimitrij Ovtcharov progressed to the title as his status in the competition advised, he caused no surprise; the upset of note was initiated at the semi-final by Portugal’s Marcos Freitas. Occupying the no.3 seeded position in the competition, after overcoming Panagiotis Gionis of Greece, the no.5 seed, in the quarter-finals (11-8, 11-5, 11-8, 3-11, 11-5), he defeated Jun Mizutani (10-12, 11-9, 8-11, 11-4, 11-9, 6-11, 11-6). One upset but the Portuguese star was not able to claim another; in the final he was beaten by Dimitrij Ovtcharov in five games (12-10, 11-8, 11-7, 13-15, 16-14). Earlier in the day, Dimitrij Ovtcharov had ended French hopes; in the round of the last eight he accounted for Antoine Hachard, the no.8 seed (11-8, 8-11, 11-8, 5-11, 11-3, 12-10), one round later he beat Andréa Landrieu (11-6, 11-6, 10-12, 11-3, 7-11, 11-6). Success in the Men’s Singles event for the second seed, it was exactly the same in the Women’s Singles competition. Sweden’s Matilda Elkholm emerged successful; at the quarter-final stage she overcame Switzerland’s Rachel Moret, the no.8 seed (11-8, 8-11, 12-10, 16-14, 13-11), before accounting for the Slovak Republic’s Eva Odorova, the no.7 seed (11-5, 11-8, 11-9) and colleague Li Fen, the no.3 seed (11-8, 11-8, 7-11, 12-14, 11-5, 11-7) to arrest the title. In the opposite half of the draw, Li Fen had ended the aspirations of Azerbaijan’s Ning Jing, the no.10 seed (14-12, 11-6, 11-9, 7-11, 11-6), prior to defeating Hungary’s Geogina Pota, the top seed (11-6, 12-10, 11-4, 11-6) to reserve her place in the final.